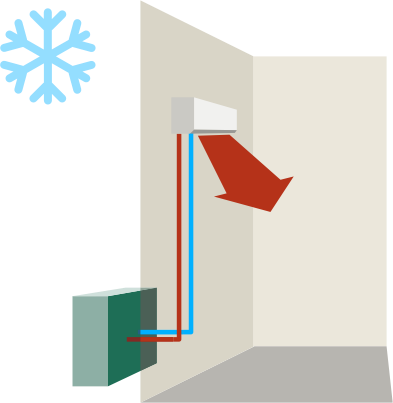 A ductless heat pump works much like a refrigerator, but can switch from cooling to heating with the click of a button. 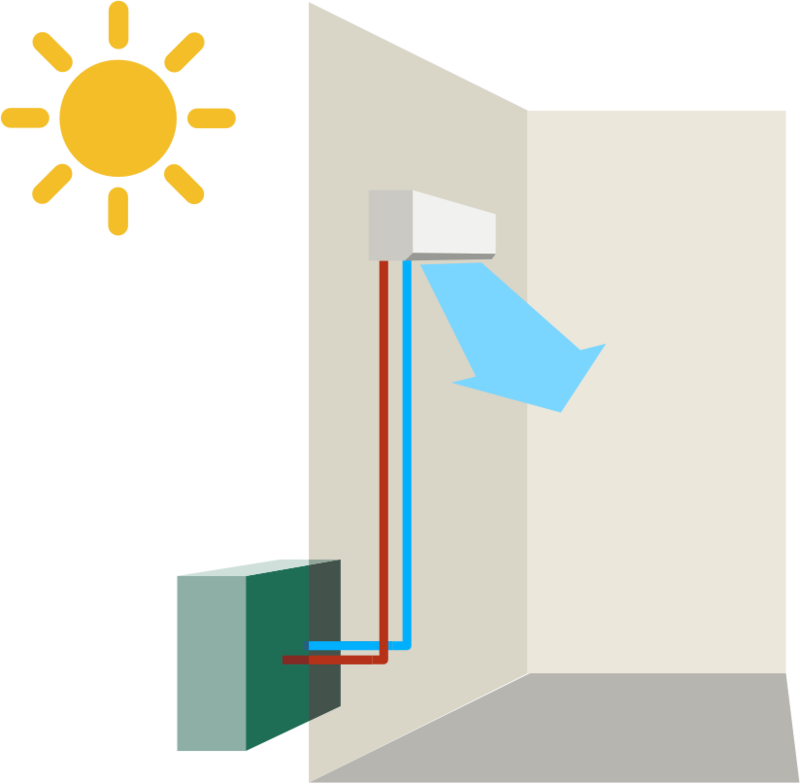 It uses refrigerant to transfer heat energy between indoors and outdoors. In the summer, the refrigerant pulls heat from inside your home to quickly and quietly cool it. Are Ductless Heat Pumps Right for Me? People choose ductless heating and cooling units for their benefits and simplicity. 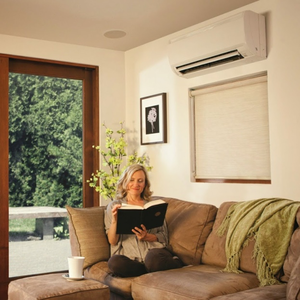 Ductless heat pumps provide endless warmth during the winter months and quick, quiet cooling during the summer. Ductless units have a built-in air filter that, unlike hidden ducts, is easy to clean and is reusable. Alpine Ductless' installation process is quick and seamless - a basic install can take as little as 4 hours. Ready to find success by going Ductless? Read our recent article to learn more! 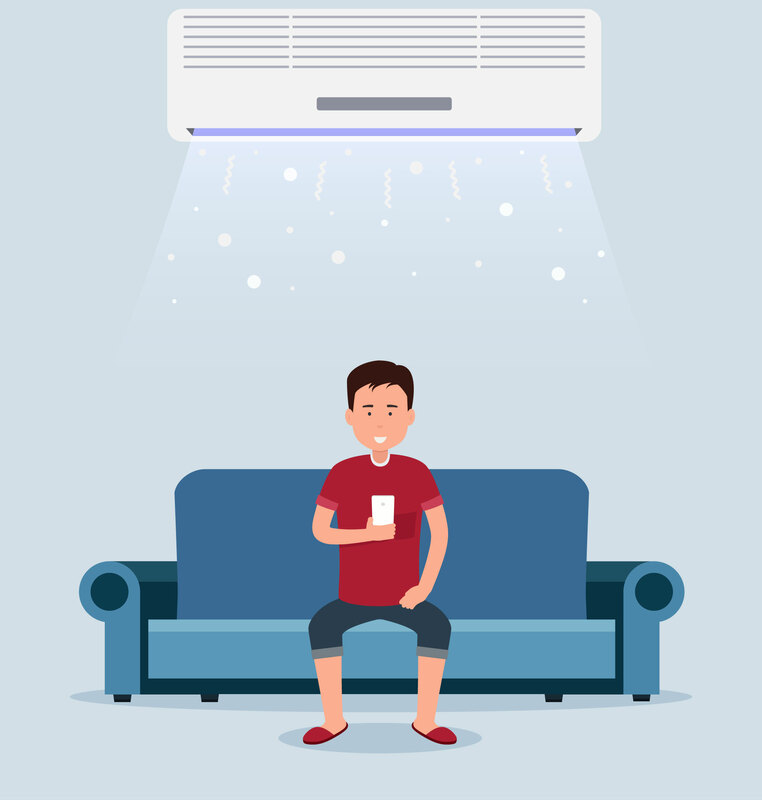 Whether you're replacing an existing system or installing a new one, ductless heating and cooling units can turn any room, area, or even your entire home into a haven of comfort at a fraction of the cost of traditional systems. Ductless heating and cooling systems are designed to save energy. Users often see up to a 50% reduction in their heating bill. 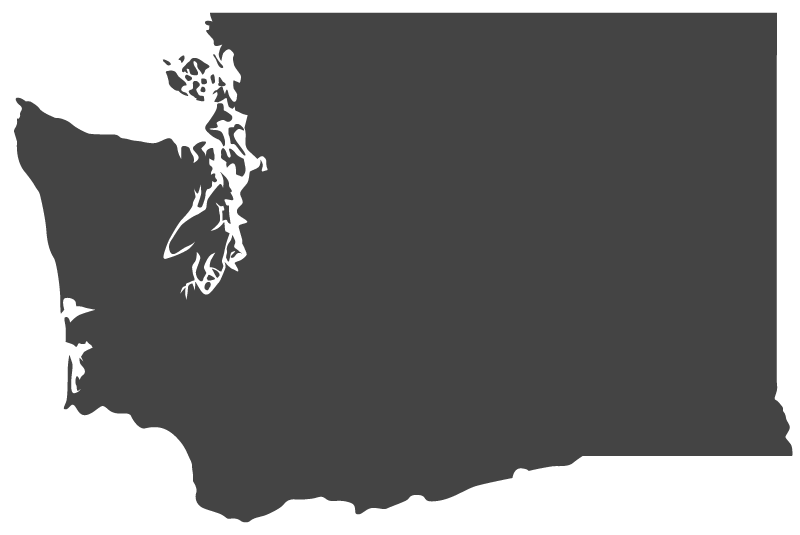 Utilities in the state of Washington recognize ductless heating systems as a highly energy-efficient heating and cooling choice. If you replace your inefficient heating system, you may qualify for a significant rebate from your local utility company. Alpine Ductless helps hundreds of customers with the rebate process each year. Our rebate specialists can help you find a rebate in your area. For most utilities, we can also process the rebate on your behalf and deduct the rebate amount from your invoice.